The Los Angeles Lakers “hosted” the Los Angeles Clippers for another chapter in the inner-city rivalry. The Lakers came off two keys wins against the Atlanta Hawks and Portland Trail Blazers thanks to a collective team effort. Derek Fisher was the hero in the first meeting between the two teams, but the previous game ended in embarrassment for the Lakers. 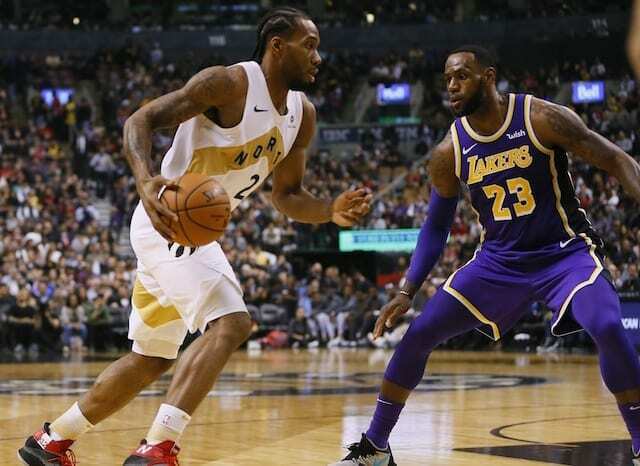 In order for the Lakers to gain ground on the San Antonio Spurs for the top seed in the Western Conference, they had to capitalize against non-playoff teams. The Clippers made a major move prior to the trade deadline, when they traded Baron Davis to the Cavaliers for Mo Williams and Jamario Moon. However, the Clippers’ new players were not in the lineup for tonight’s game and the Lakers had to take advantage of the short rotation. Without a true point guard on the floor the Clippers began the game struggling and were unable to find success on the offensive end. At the 9:32 mark of the first quarter, the Clippers found themselves trailing 10-2. Gasol and Fisher found their groove on offense and they helped the Lakers maintain their first quarter lead. Despite a grueling overtime game against the Blazers, there was no lack of energy in the Lakers’ game. The Lakers were playing tough defense and they were equally effective on the other side of the court. However, the Clippers captured the momentum and they began to play a more up-tempo, fast-break style of play. The Clippers strive in transition, and they took advantage of the fairly slow Lakers team. Thanks to three consecutive three-point field goals from Randy Foye, the Clippers ended the first quarter leading 31-30. Although the Phil Jackson inserted his reserves to start the second quarter, they did not provide much of a boost for the Lakers. The Clippers matched the Lakers every move, and although Griffin was resting on the bench the game still remained fairly close. At the mid-way point of the second period the Lakers had a mere one point lead, 41-40. Towards the end of the second quarter Kobe Bryant was subbed out of the game after suffering a right arm injury. Kobe was grimacing on the bench and it was clear that the pain was unbearable. As for the team on the court, they ended the half leading by point two points, 52-50. The leading scorer was Pau Gasol with 18 points, who shot an incredible 7-8 from the field. Kobe Bryant decided to return to the game despite his injury, but he wore an arm sleeve hoping to alleviate the pain. Although the injury seemed serious at first, Kobe did not lose a step in the third; Bryant hit his first two three-point attempts, and he expanded the Lakers’ lead to six, 63-57, with 7:08 left in the quarter. The Lakers soon rode on Kobe’s back as the Mamba took over the scoring load for the team. In one stretch of the quarter Kobe scored seven consecutive points and he put the Lakers up 76-62. The Lakers played a few strong quarter and Kobe was the catalyst to the team’s run. Bryant scored 18 of his 24 points in the period and at the end of the third, the Lakers were enjoying a comfortable 18 point lead, 85-67. There was no doubt the Lakers would walk-off the court victorious, so it was a great opportunity for the bench players to get some minutes. Despite a diminutive run by the Clippers, the Lakers maintained their lead and won the game. The final buzzer rang and the Lakers were ahead,108-95; the Lakers improved to a record of 41-19 and inched closer to the taking the second seed from the Mavericks. Kobe Bryant took over the game in the third, and he finished the contest with 24 points on 16 shots. The Lakers next game will be in Oklahoma City to take on the new-look Thunder team. Luckily for the Lakers’ starters, they were able to rest for the entire fourth quarter. Sunday’s game will be hectic, and the Lakers need all the rest they can get. respect if not given must be taken.